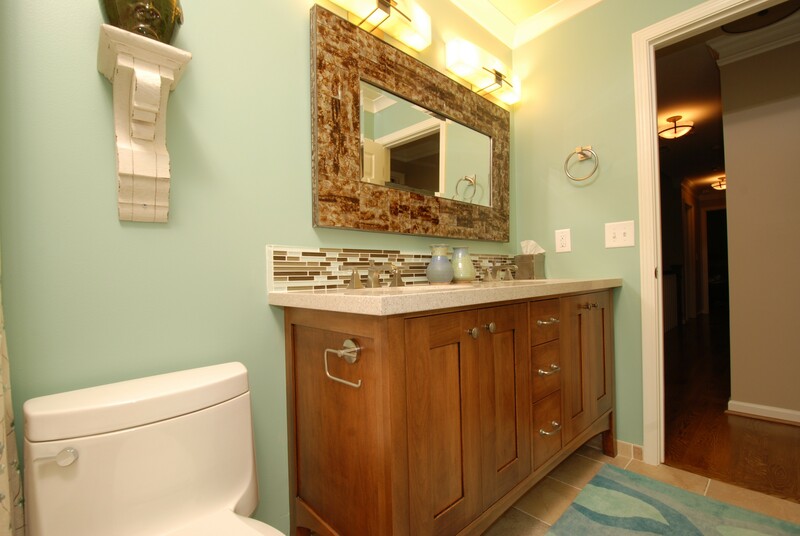 The finished bathroom – the vanity is free standing and has two basins. 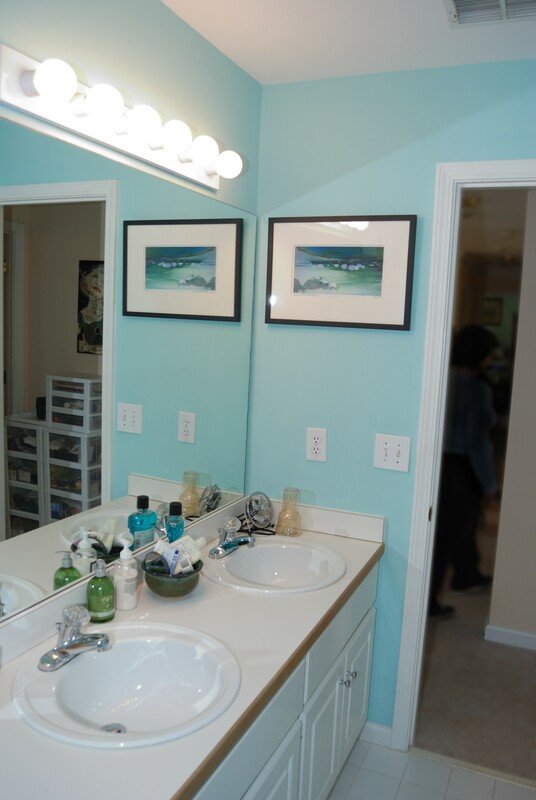 There’s enough storage for a guest bathroom and the simple lines are classic. The sinks are under mounted so clean up is easy. 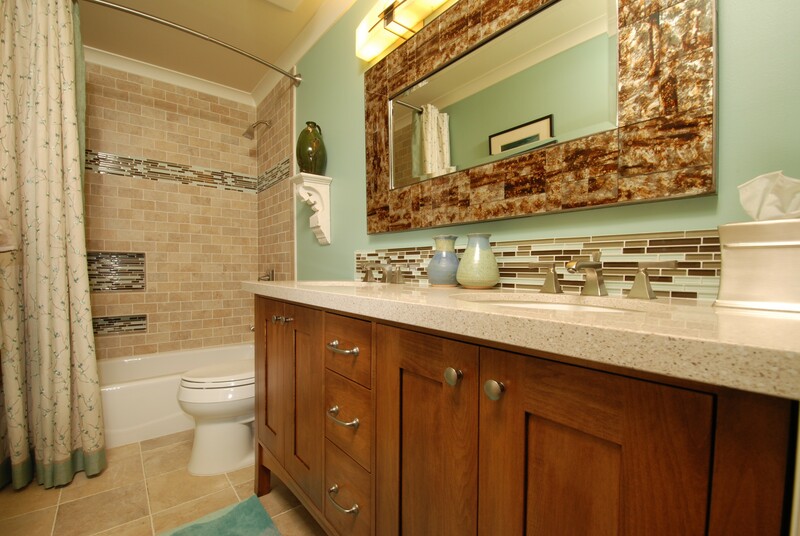 The glass back splash contrasts with the warmer tones of the cabinetry. 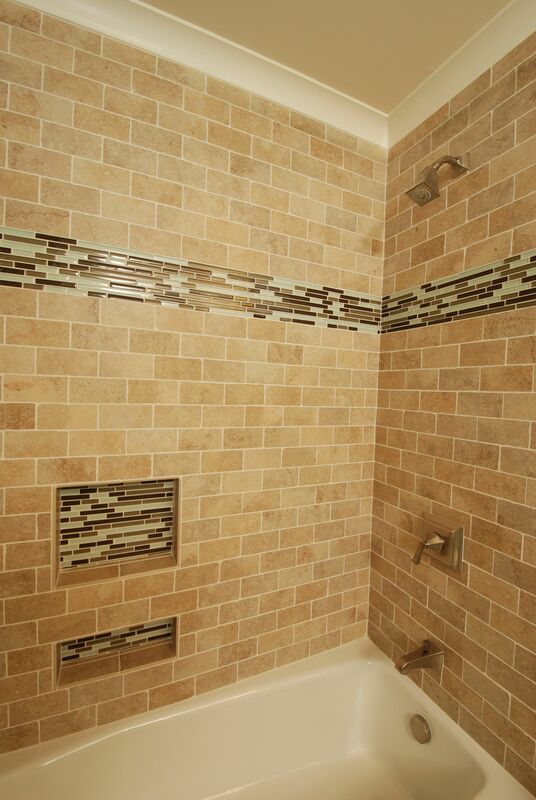 The tub surround was tiled and had an accent band that was repeated in the back of the two niches. 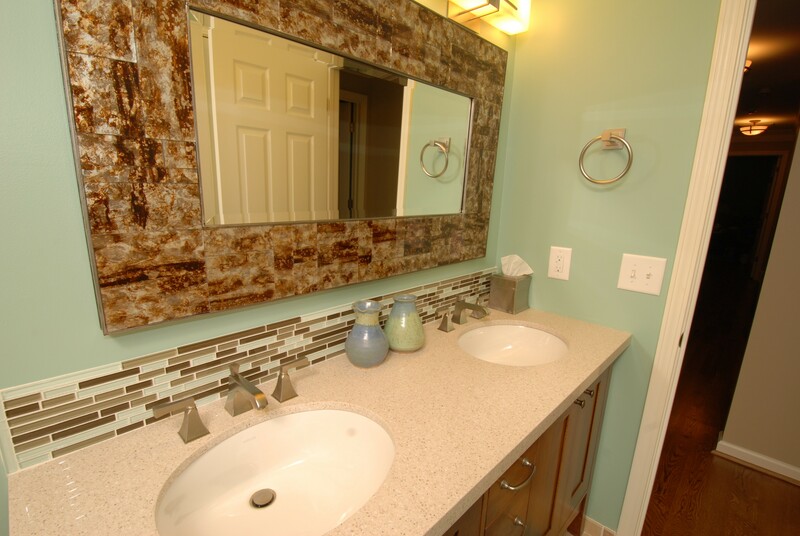 The new vanity is free standing and has elements of traditional styling that blend well with contemporary lines. 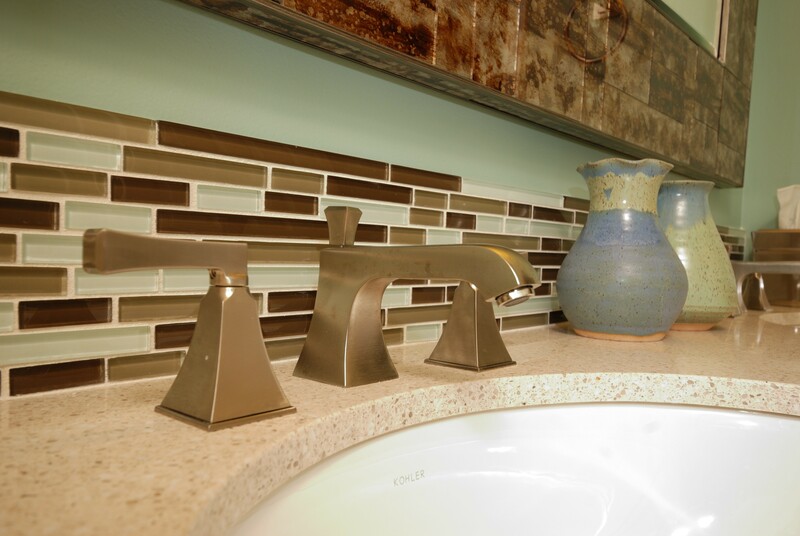 A close up of the lavatory faucets and the glass tile back splash. 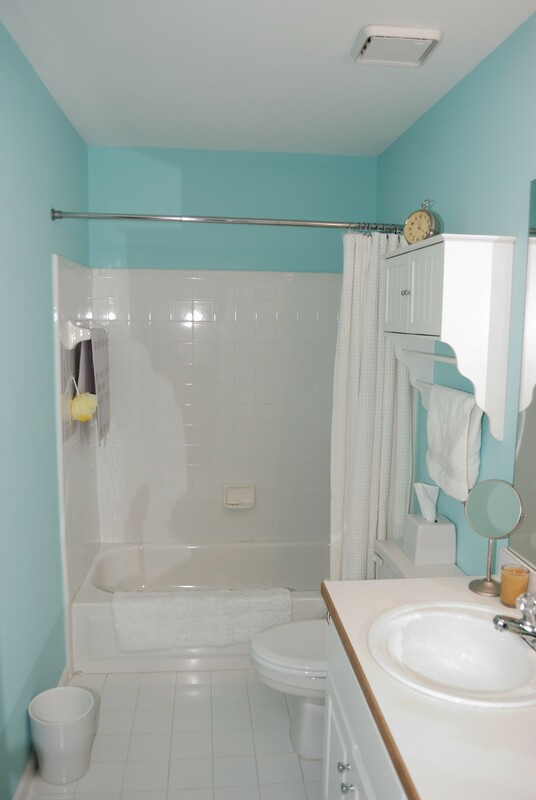 White tile, white fixtures, white counter tops, and white vanity cabinets all point to a 1990’s bathroom in need of an update. The old vanity and bathroom for comparison.